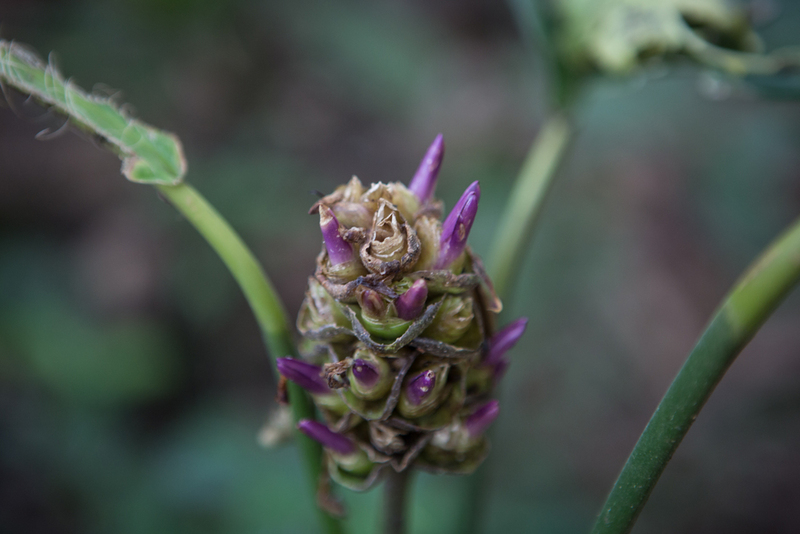 Discover our ongoing conservation and reforestation projects. 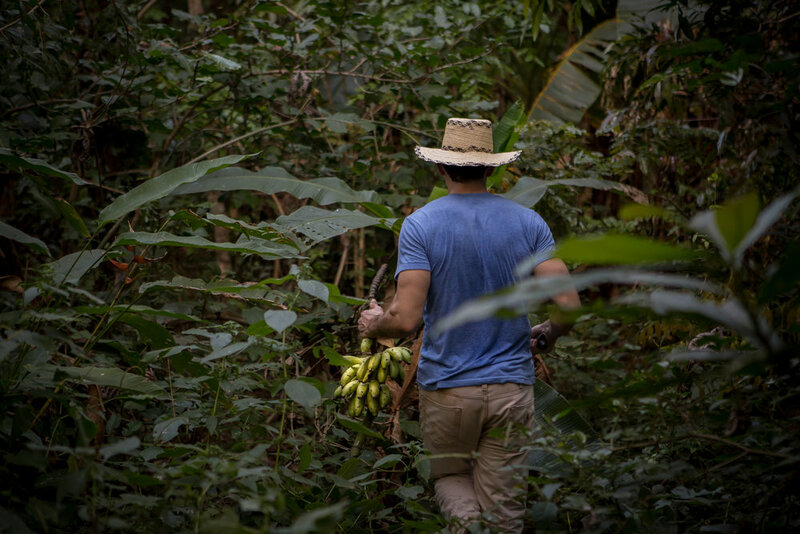 To be a world-class model of sustainable development on the Azuero, characterized by environmental conservation, local community engagement, and outstanding sustainable living. Reserva Ecologica Panamaes is a 507 hectare land tract on 4km of coastline in the Azuero Peninsula composed of properties whose owners are united in their vision to regenerate and conserve the terrestrial, coastal and oceanic ecosystems through sustainable land management. AMA Estancia accounts for 180 hectares of the reserve, and at the estate you can explore the reforestation project, the organic orchards and agroforestry plots, and the coral and turtle conservation areas with an onsite conservation biologist or a local guide. If the time is right, you may even enjoy a conversation with one of the visiting researchers we host from around the world. Our culinary program is directly integrated with the organic orchards and agroforestry plots, so even if you don't see it, you will experience the fruits of our reforestation efforts at the table. At AMA Estancia you will gain a firsthand perspective into how a private landscape can be managed holistically for environmental, social and economic sustainability, and how this approach has enabled the Reserve to become an important study of how responsible land management and development decisions can effectively drive environmental conservation and restoration goals. The reforestation effort we began 7 years ago has resulted in over 60 hectares of new forest and over 60,000 trees planted - a 60% increase in forest cover regeneration since 2003. Restoring the biological corridors has brought wildlife diversity back to our forests: 11 of Panama's endangered species have been sighted on the reserve, and if you explore during your stay you are likely to see howler monkeys, iguanas, deer, sea turtles, migrating humpback whales and many more resident species on the property. We believe that sustainability goes beyond the environment. Land use is also an economic and social issue, and thus employment, social equality and economic growth and resiliency are conservation imperatives at AMA Estancia - our reserve employs 36 local Panamanians full-time who we provide with local and international training to contribute to our sustainable land management plan, and many of our programs extend into the local community. The property has an ancient history, as Los Santos province is home to some of the first indigenous settlements in Panama, and was once ruled by a powerful indigenous chiefdom. Spanish colonialists also prized the fertile land of the peninsula, and established the cattle-farming industry that still defines the region today. Los Santos is the cultural epicenter of Panama, famous for its Pollera and Carnival Festivals, handmade straw hats, rodeo performances and leatherworks. Before acquisition by the current owner, the AMA Estancia estate was once home to a U.S. Navy runway, but more recently consisted of several cattle and teak farms. Due to the mountainous terrain of the property, much of the land was deemed too difficult to clear cut by generations of farmers, and was thus preserved as old-growth forest: some of the only remaining in the peninsula. AMA Estancia is a 180 hectare estate within a 500-hectare private property on the Azuero Peninsula in the province of Los Santos, Panama. The nearby town of Pedasi and neighboring Playa Venao are famed beach destinations. AMA Estancia is on a secluded area of the coast about 30 minutes away, and encomposes 2.5 miles of beachfront. There is rarely a single person on the beach, providing a desert island illusion without the isolation. Coral reefs, pods of dolphins, whales and sea turtles nesting can be observed from the three beaches on the property: Playa Escondido, Playa Panamaes and Playa la Miel, and a variety of species can be spotted in the forests, hills, savannahs, rivers, lagoons and creeks of our jungle reserve, including monkeys, iguanas, armadillos, caimans and tropical birds like parrots and toucans. 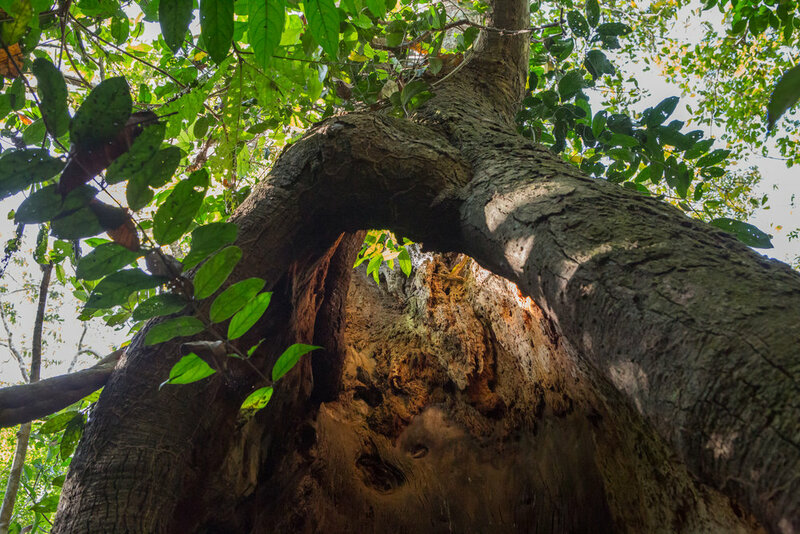 We are lucky to have two High Conservation Value Forests on the property, where old-growth jungle trees and large lagoons and rivers support a collection of flora and fauna who are now rare to the area, but vital for the groundwater and micro-climate. Just 7-years into our reforestation effort, we have seen a greater variety of avian and terrestrial species return to the forest. Through our protection of the beaches from local poachers, our efforts to protect the vital sea turtle nesting sites have resulted in more successful nesting seasons. We are committed to restoring the natural corridor that allows biodiversity to thrive the way it once did on the peninsula. 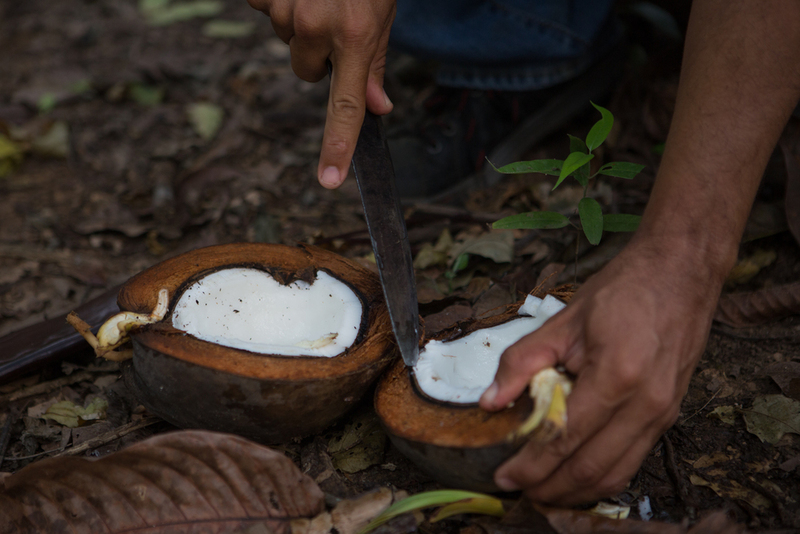 Through Reserva Ecologica Panamaes, we have established a sustainable forest management plan and a conservation program that will protect and improve the forest cover within our 500 hectare property. Our goals are to contribute to the regulation and maintenance of the existing water resources in this area, through the protection of our forest watershed areas. In addition to forestry, we have also invested in education to improve knowledge of forest ecosystem management and forest species of both flora and fauna in the area. Our forest area represents one of the few remaining forests in the province of Los Santos. 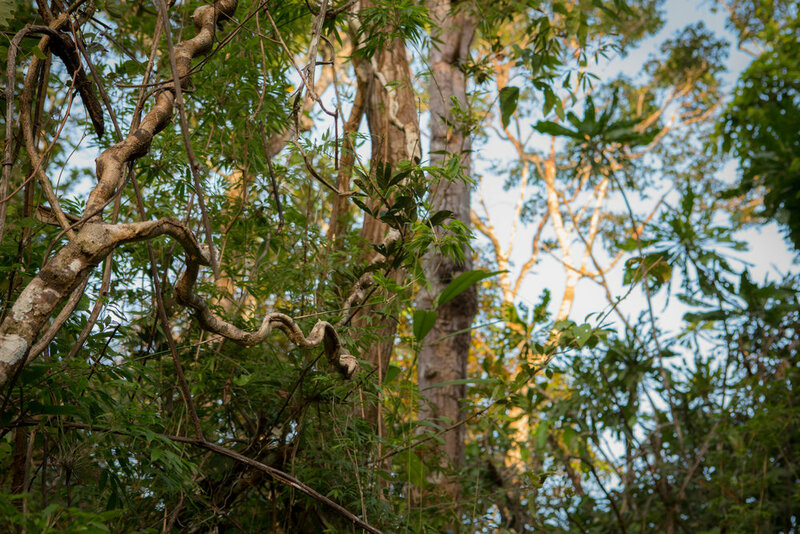 Species such as: Hura crepitans (Sandbox tree), Cordia alliodora (Spanish Elm), Pachira quinata (cedar hawthorn), Tebebuia rosea (savannah oak) make our forest very unique. The existence of these species has a positive impact on groundwater and the micro-climate of the area. They incorporate essential nutrients to the soil and provide an environment that is suitable for wildlife. 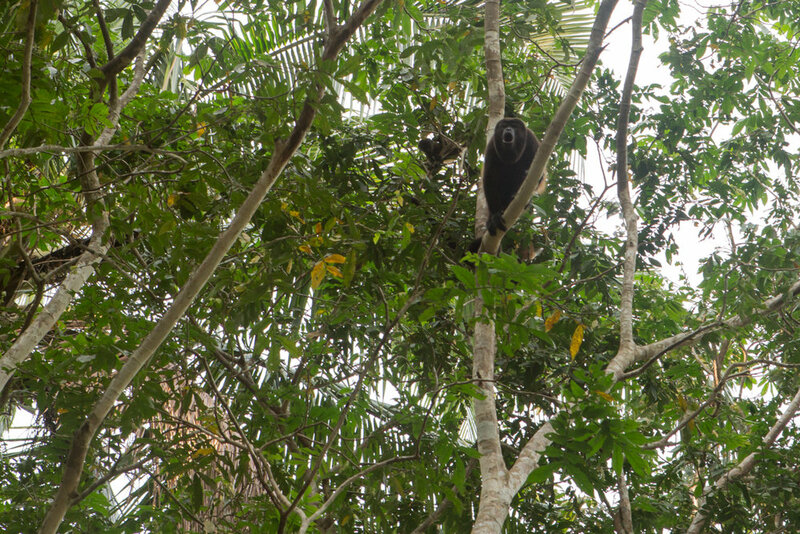 Our forest is inhabited with a variety of animals including: the coatimundi (nasua narica), cottontail rabbits (Sylvilagus brasiliensis), sloths (Choloepus hoffmanni), howler monkeys (howler monkey) and white tail deer.